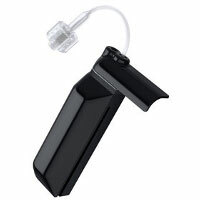 Tubed insulin pumps contain a plastic cartridge or reservoir that is filled with insulin and locked into the pump. 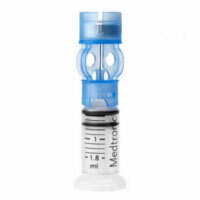 Typically, the insulin cartridge comes with a transfer guard, a piece at the top that you remove before inserting the reservoir into the pump. 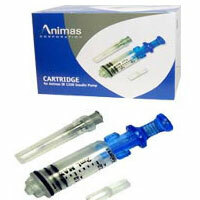 The transfer guard assists in depositing the insulin from a vial into the reservoir. 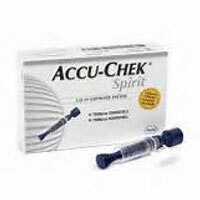 Reservoirs can hold up to 300 units of insulin and are changed every two to three days.